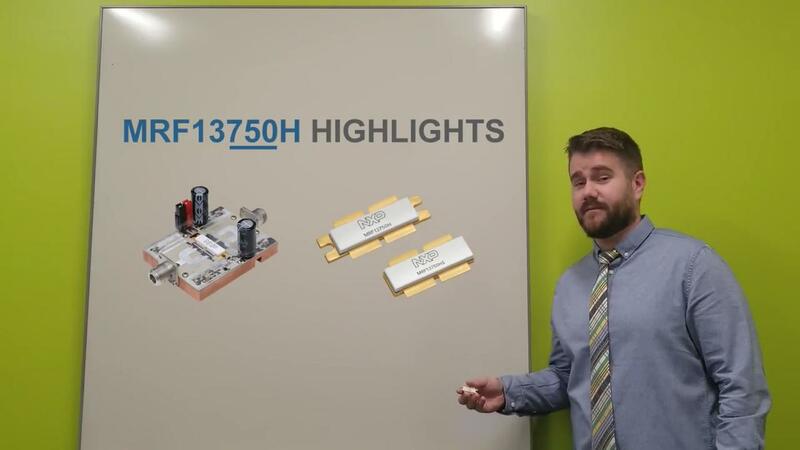 These 750 W CW transistors, MRF13750H and MRF13750HS, are designed for industrial, scientific and medical (ISM) applications in the 700 to 1300 MHz frequency range. The transistors are capable of CW or pulse power in narrowband operation. 1. Measured in 915 MHz narrowband reference circuit. 2. Measured in 915 MHz narrowband production test fixture. 3. Measured in 1300 MHz narrowband reference circuit.